The Cincinnati Bengals won their preseason opener over the Chicago Bears 30-27. The Bengals will play against the Dallas Cowboys next Saturday. 3rd-team QB Jeff Driskel led the offense ninety yards down the field for the game-winning score. One does not want to get overly optimistic after the first preseason game. That being said, I saw a number of things during this game to get excited about. HOW DID THE CINCINNATI BENGALS LOOK OFFENSIVELY? Offensive coordinator Bill Lazor showed creativity with his play calling and personnel groupings. The Bengals first-team offense played tremendously. Andy Dalton led three drives, two of which ended in touchdowns. Dalton and A.J. Green looked in midseason form. Their rapport together was excellent. Backup QB Matt Barkley was inaccurate for the most part. He did lead a couple of nice drives in the second quarter that led to field goals. Running backs Joe Mixon and Giovanni Bernard ran well behind the revamped offensive line. Mixon lined up out wide, caught a ball from Dalton, and shook two defenders to score. Bernard showed off his burst with a few nice explosive runs. In reporting from camp, we have been told Tyler Boyd and John Ross has been performing well. This is part of the reason they were able to release Brandon LaFell. With one exception, this was true Thursday night. Ross crossed over a defender for on his way to a 20-yard gain. Unfortunately, earlier in the quarter, he slipped on his route, and the Bears Kyle Fuller returned it for a TD. On the next drive, Boyd beat Fuller with a quick inside release for a touchdown. Don’t sleep on Josh Malone this season. His route running looks great. The reserve tight ends, Tyler Kroft and C.J. Uzomah looked excellent with the 2nd team offense. HOW DID THE CINCINNATI BENGALS LOOK ON DEFENSE? All-Pro defensive tackle Geno Atkins was his normal monster self. The Bears couldn’t block him. The starting defensive line didn’t play long. Jordan Evans did not have a good night in pass coverage. Bears tight end Adam Shaheen beat him on more than one occasion. Unfortunately, injuries are a thing in the preseason. For the Cincinnati Bengals, Vinny Rey left the game with an ankle injury. Hopefully, it isn’t too serious. Chicago Bears QB Mitchell Trubisky tried to throw at William Jackson once. He didn’t attempt it again. KeiVarae Russell is battling for a roster spot. His interception of Tyler Bray could help his cause. The third team secondary did not look so hot. Speaking of the offensive line, first-round pick Billy Price looked good. He showed more ability in three drives to get to the second level than Russell Bodine did in four years. Undrafted safety Trayvon Henderson (Hawaii) made a superb tackle in punt coverage. Sadly, he came up holding his ribs and was taken to the trainer’s table. Henderson was able to return. 7th-round selection Auden Tate is going to make the team. Tate, a 6’5″ 225-pound wide receiver is a mismatch. He bodied Bears rookie John Franklin III on the go-ahead touchdown drive in the 4th quarter. What did you think of the Cincinnati Bengals performance in their first preseason game? Let us know in the comments! 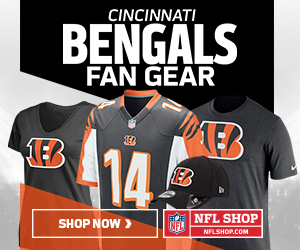 Stay with IroniqMedia for all of your Cincinnati Bengals and NFL coverage!